We live in a globally connected era, a world where technology is driving growth, fusing our physical and virtual worlds, and transforming entire systems of management, education and government. The World Economic Forum now puts us on the cusp of the Fourth Industrial Revolution, which will be marked by artificial intelligence, virtual and augmented reality, 3D printing, energy storage, the Internet of Things, and quantum computing. It is unclear exactly how this revolution will play out, but it is happening quickly and disrupting all aspects of business and society. This includes social impact organizations, which can take some of their cues from businesses as to how best to prepare. Business leaders are thinking years ahead for the survival of their organizations as well as considering the impact their actions will have on communities. The best companies are adapting their approach away from the conventional and preparing by nurturing innovation mindsets, practices and partnerships. Just as businesses must anticipate the Next Big Thing, so must nonprofits and non-governmental organizations. This includes embracing the digital economy to solve some of the world’s most entrenched problems, from poverty and population growth, to pollution and scarce resources. What does it look like when companies strive for tomorrow’s technology? Consider the impact of digital services over the past 15 years. Companies like Blockbuster and Kodak have disappeared in a market transformed by the internet, cloud storage and the growth of digital devices. Netflix, on the other hand, had a different idea: stream movies over the internet into people’s homes. But when Netflix founder Reed Hastings proposed a partnership to Blockbuster’s CEO John Antioco, he was laughed out of the room. By 2010, Blockbuster was bankrupt. Today, Netflix is a global leader in on-demand and commercial-free streaming on any device and develops its own original content, competing directly with the legacy television networks. 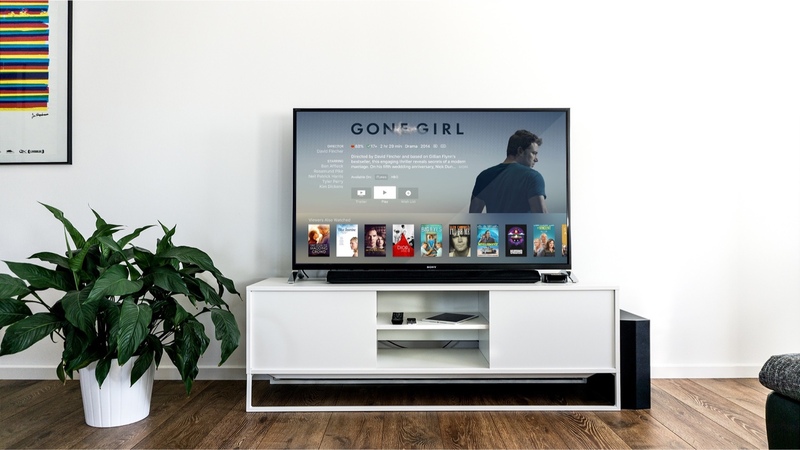 But it can’t rest as it looks at the future, especially with competitors like Amazon, Hulu and YouTube pushing forward with their own strategies to gain their share of viewers’ time. In the First Industrial Revolution, we used water and steam for power, taking us from hand tools and small machines to powered machinery and mass production, sparking the growth of coal, iron, railroads and textiles. In the second, we transformed our homes, businesses and systems with electric power generation, oil and steel, and forever changed the way we worked and lived. In the middle of the last century, the Third Industrial Revolution took hold as electronics, digital technology and the internet disrupted the media, education and commerce. It took us from newspapers to ePubs, encyclopedias to digital libraries, brick-and-mortar businesses to online stores and services, and paper money to e-payments. One hallmark as we move from the third to fourth revolution is our rapidly growing connectivity. Our global population of 7.4 billion now includes 3.2 billion internet users, according to the World Economic Forum’s 2016 Global Information Technology Report. By 2020, there will be over 26 billion Internet-connected devices and over 4 billion global Internet users. Some of the brightest minds in business, technology and education are predicting artificial intelligence will change everything. Already, manufacturers are implementing predictive data analytics and machine learning algorithms to optimize their production lines, implement preventive maintenance, increase customization, and streamline their supply chains. Architects and engineers are using three-dimensional augmented reality — a technology that superimposes a computer-generated image on a user’s view of the real world — to create the next generation of buildings and infrastructure. Increasingly, the things around us – buildings, vehicles, electronics, objects – are embedded with sensors and software that tie us to data networks. This Internet of Things transition is enabling our refrigerators to restock themselves and our kids’ toothbrushes to tell us when the rascals haven’t brushed their teeth. Charity: water has funded 22,936 water projects for 7 million people around the world. In 2012, the organization raised more than $2 million in four months with a video campaign. Three years later, it raised $2.4 million in one night by using a nine-minute virtual reality experience to transport donors to Ethiopia, where a 13-year-old girl must sacrifice schooling to walk long distances to get water for her family. The funds were enough to bring drinking water to 243 villages in Tigray. “VR is an empathy machine, when used in the right way,” charity: water founder Scott Harrison told a crowd at Web Summit a month before the video’s release. Turns out, he was spot on. So how do social impact organization prepare for the Fourth Industrial Revolution? There are many ideas around how nonprofits and NGOs can use developing technologies to create impact in different ways in different sectors. But which ones will make the biggest difference? It’s still too soon to tell because data is still being collected. What we do know, however, is we must constantly learn and evolve. Western Union, for example, started in 1851 as a telegraph company. Twenty years later, it introduced money wiring. Almost 100 years later, it was still going strong and introduced communications satellites. Today, it is a global leader in cross-currency, cross-border money movement and payment services. Likewise, social impact organizations need to create the practices and assemble the thinkers who will manifest the solutions to carry their organizations forward. To do this, they must seek out partners to use or build the right impact technology to reach near-term and long-term goals, whether increasing funding, utilizing field data, building a solution or scaling a program from local to national to global. It’s easy to grow complacent and focused on the day-to-day tasks of a social impact organization. Stay aware of the broader technology and business trends. Research more intriguing possibilities. Follow thought leaders. Keep and hire people who are hungry to learn. Could an emerging technology be applied to your organization? How creatively could new tech tools be used in the impact space? An open mind helps spark ideas and can change a whole sector. 3) Look for impact DNA. Find out more about potential partners before you engage. Why do they exist? Make sure they are like-minded. At a minimum, be sure they are doing no harm. We can’t be insular, and we don’t know everything. Share with others. Pursue a meshing of minds with different organizations. The more partnerships, the stronger the organization. Consider using internal time to test a new idea. Try things, and fail. Create an internal lab program or participate in one with a partner. Usually, new ideas will emerge. 6) Study behavior like a scientist. Apply a rigorous process to the ideas with the most merit. 8) Be nimble and quick. Be discerning and efficient to avoid getting bogged down in the process of impact technology. Look for inspiring examples of decisive action, and take it yourself. As our attention turns toward the Fourth Industrial Revolution and the expectation of unprecedented scale, scope and complexity, technology will prove to be a powerful tool for equalizing the inequities of our world. If used the right way, it will provide opportunity and give voice and dignity to those that need uplifting, educate our next generation of leaders, and help us become better global citizens.